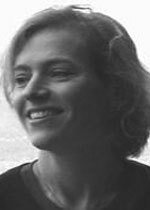 Julie Carr's first book, Mead: An Epithalamion, won the University of Georgia Press's contemporary poetry prize for 2004. Her poems have appeared in such journals as Volt, American Letters and Commentary, Pool, Verse, American Poet, The Iowa Review, Boston Review, and TriQuarterly. She lives in Denver and teaches at the University of Colorado, Boulder.